The Business in the Community scheme links our school with the marketing company Proctor & Gamble. Employees of the company come to our school for a number of sessions completed with 6th Year students. These sessions include CV and interview skills, mock interviews and presentation skills. 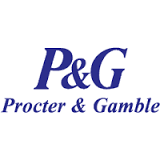 At the end of the scheme there is an organised trip to Proctor & Gamble in Ballymount where the students can take part in a typical day in the life of an employee. Click here to see our related Gallery.